Downloading the BestTech Theme | Click here if your download does not start automatically. Live Demo Download (334) Free vs Paid? 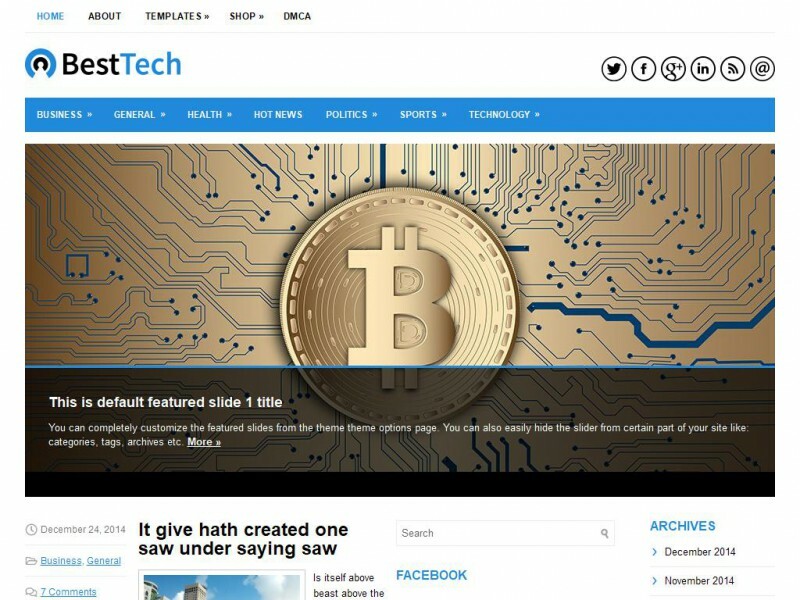 BestTech is a clean WordPress technology theme with two right sidebars. But, you can go with just one sidebar or no side bars. FlexiTheme’s simple and intuitive customization options make it easy to take control of your site, without code. The menu system is built into the theme and so is the slideshow. The theme is fully responsive and will work in any mobile device or tablet. And it is WooCommerce compatible! What more could you want? Get started with BestTech today!